Once again, I found myself in the drug store on a mission to find some essentials and ended up getting sidetracked in the makeup aisle. There were so many clearance and sale tags that I selected only a few items that I really wanted to try, and at bargain prices to boot. One of my weaknesses is rewards programs. I don’t know what it is about them, but I feel compelled to register for every reward card, points system or coupon mailing list, even for stores that I don’t often visit. I think part of it is that, if I’m going to be shopping there anyways, I might as well be able to score 10% off, points to spend on items in-store, or coupons on everyday products. I mention this because I scored some serious points on this shopping spree and I am already so close to $5 in savings. But, I digress. I had been eyeing this palette for awhile but $18.99 was a bit pricy so when I saw it was marked down I scooped it up. They have three different palettes, The Nudes, The Rock Nudes, and The Blushed Nudes. 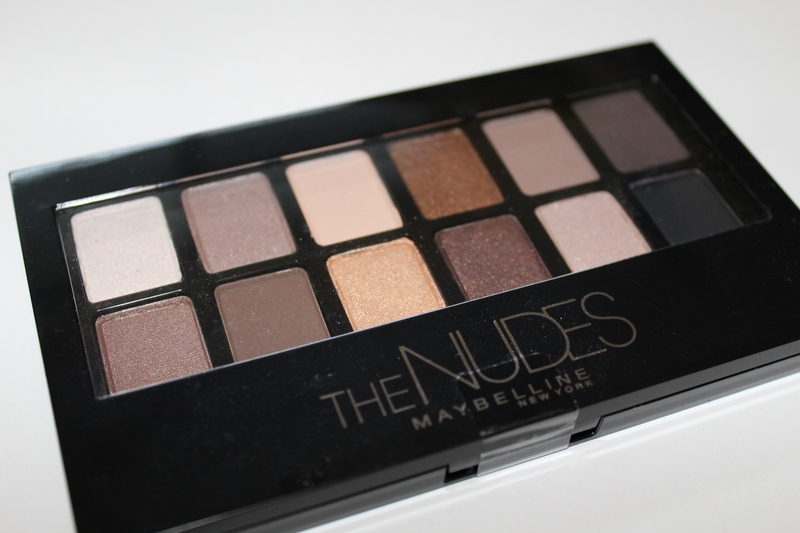 The Rock Nudes has a lot of cool-toned browns and greys that are great for smoky eyes but not for everyday wear. 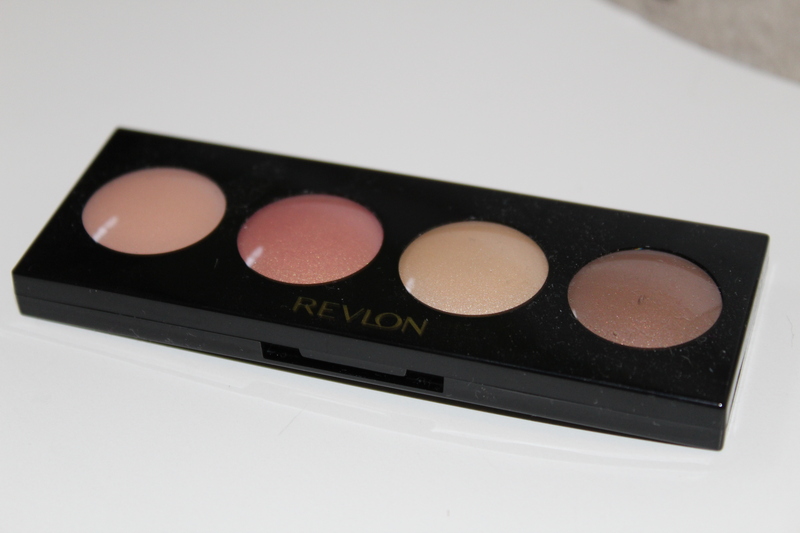 The Blushed Nudes are gorgeous shades with pink undertones but I typically go for the more golden and shimmery nudes, so this palette was perfect. I have never tried a cream eyeshadow before but I was feeling a little adventurous and for $6.49 it seemed like a good time to try it. There were other quads with different shades but I felt like I would get much more use out of these ones, plus I love the shimmer in them. Before I start writing about the lip butter, I just want to have a mini rant about sales tags. If a store puts a sale or clearance tag underneath a product that says $11.49 $5.79, that indicates to me that there is a sale afoot. But apparently some of these sales tags have little letter codes or shade abbreviations that limit the sale to only certain shades of the product. WHO WOULD EVER READ THAT?!? I get looking at the sign in a department store to see if the sale excludes items with a 97¢ ending, but squinting to read the fine print shade coding for certain products??? Just no. So when I had two of these lip butters in my basket, I left the store with only one because apparently the other shade I selected was not the shade in the particular row that was on sale. -sigh- However, I do love the shade of this lip butter and how it gives a hint of colour and shine without being super bright or sticky. Three factors led me to purchase this nail polish: 1) I have been on the hunt for a gorgeous red polish and fell in love with this shade. 2) It was 4 dollars off, which seemed like a bloomin’ good deal to me, especially since I rarely ever fine Essie products on sale. And 3) I got bonus reward points with the purchase of any Essie nail product. With this trifecta of good reasons, I purchased this shade and I tried it out a few days later. 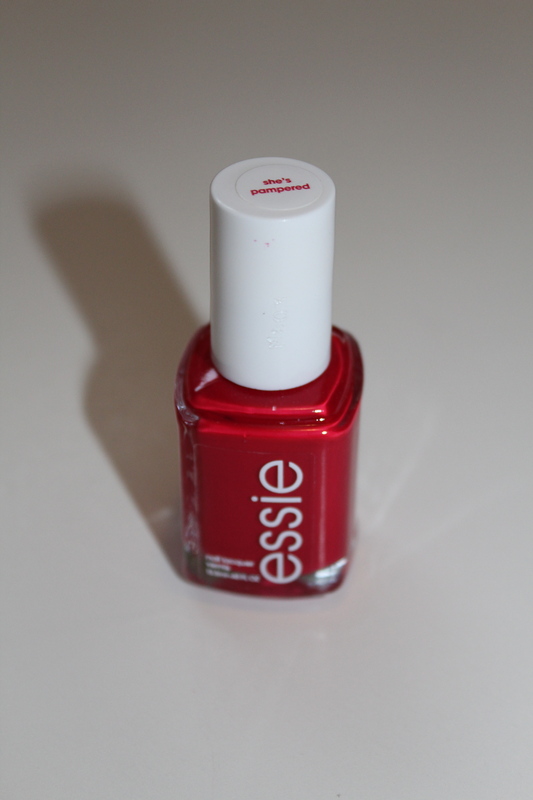 Essie nail polishes go on really smoothly and evenly with no clumping and minimal bubbling while drying. I did manage to get a cat hair painted onto my thumb nail but that just comes with the territory of living with a cat. I did, however, take my grandmother’s advice this go-around and put the nail polish in the fridge for awhile before I applied it. She claims that cold polish goes on better than room temperature polish. At the time I thought she was just making it up, but it actually works. 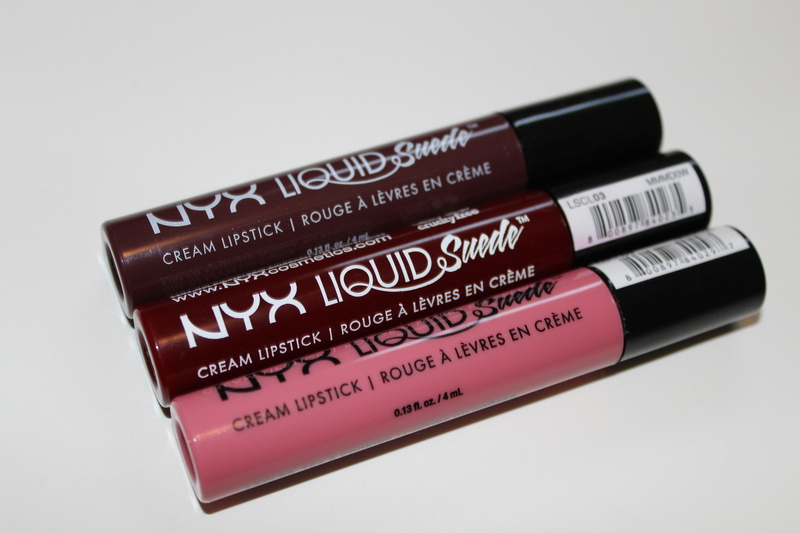 I have heard so many good things about these lipsticks in YouTubers’ favourites videos so when I saw them in my local drugstore, I swatched a bunch of them on my arm and picked out three that I felt I would wear the most: Tea and Cookies, Cherry Skies, and Vintage. 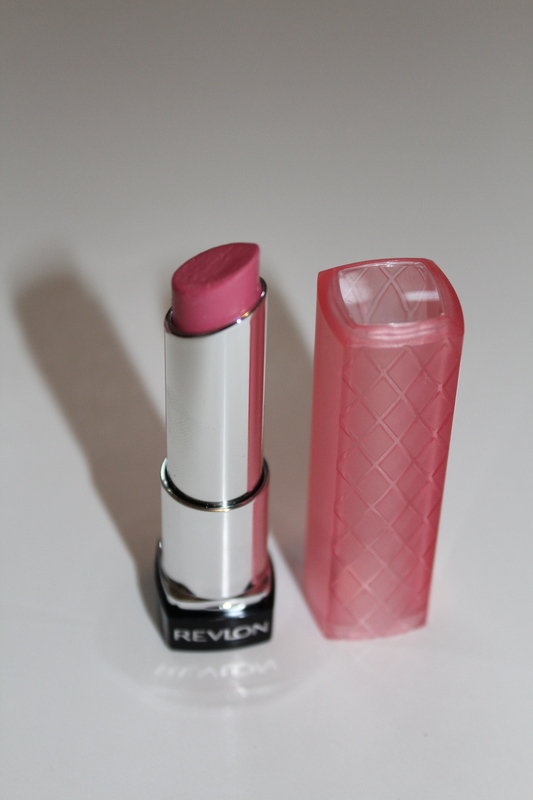 Tea and Cookies is a lovely rose pink, perfect for everyday wear, especially in early autumn and spring. Cherry Skies is a gorgeous deep wine red that would be beautiful for autumn and winter wear. Finally,Vintage is a plum shade with mauve undertones that I think would pair so well with a some winged eyeliner and a little black dress. These go on wet but dry matte, and I couldn’t get the swatches off my arm all night, so that definitely speaks to their lasting power. This has been my go-to drugstore powder foundation for years, and every time I see it on sale I scoop one up. 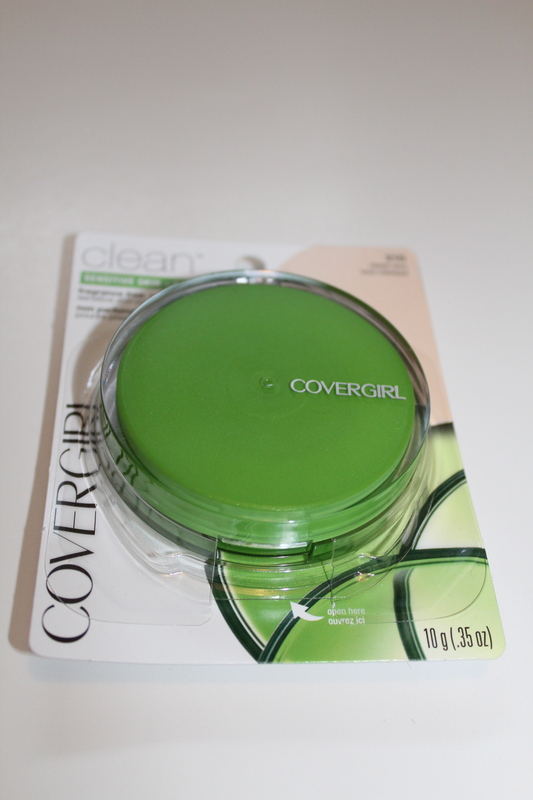 I actually reviewed this powder and the corresponding liquid foundation last year, which you can read here if you’d like. The powder is really light so it doesn’t feel like I’m wearing any but it is one of the few I have found that actually matches my skin tone. This is another product that has been be mentioned in several people’s favourites videos and blog posts, so I wanted to see if the hype surrounding it was worth it. 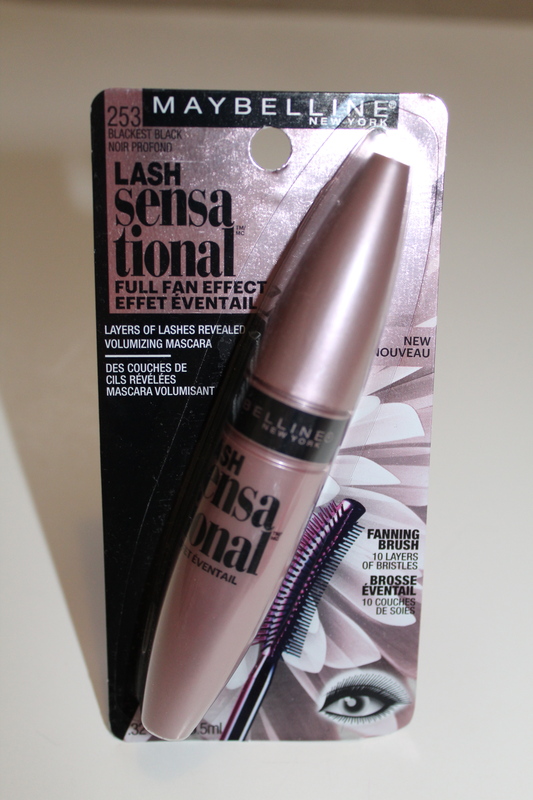 I will definitely be posting a review of this product in the near future, so stay tuned. 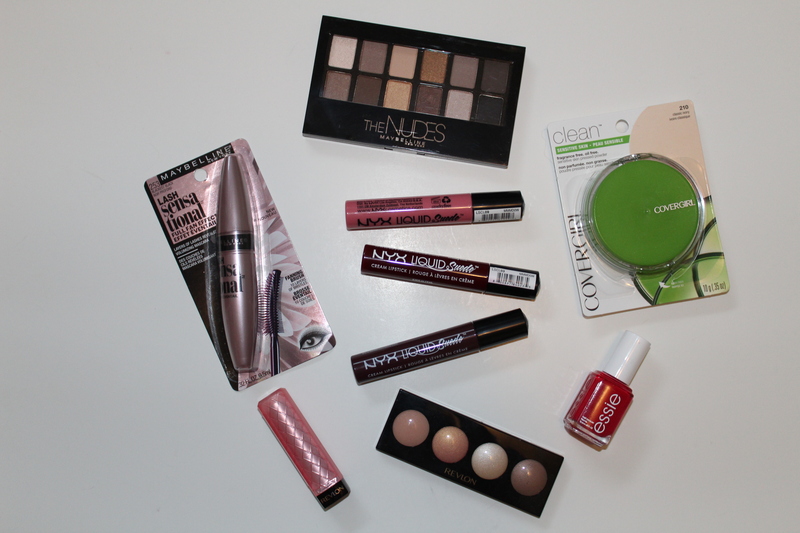 What drugstore products have you been using lately??? What a fab haul! I love L’Oréal’s Miss Hippe mascara and NYX’s soft matte lip creams. They’re the products that I’ve been using recently.